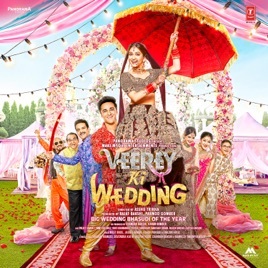 As you’d expect with a film about impending nuptials, the soundtrack for the comedy Veerey Ki Wedding is celebration-driven—and singers Mika Singh, Sunidhi Chauhan and Navraj Hans make sure the music is on point. The proceedings open in masala style with “Mind Blowing”—complete with an unbelievably catchy chorus—before rattling on to energetic party tracks like the pacey “Hatt Ja Tau” and the head-nodding title track. The album closes out with the melodious “Na Kasoor”—the perfect tonic as the party winds down.